dk: What is your film about? This might seem a simplistic question but really it is about so much – a false accusation of gay bashing, an excessive 45-year prison sentence administered to a teenage boy, an accuser who himself served time, befriending the person he locked away, a vigilante who gives justice a bad name. How do you see it? 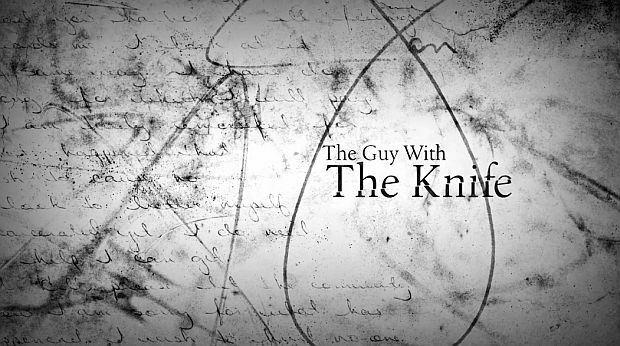 aa: The Guy With The Knife is ultimately a film about redemption in the context of a punitive justice system unduly influenced by a media bent on sensationalism and buttressed by an unforgiving fundamentalist Protestantism. The heart of the film is the story of a friendship between two men who begin as bitter enemies and end up helping to redeem each other. dk: Astonishing, besides the subject matter, is that you, a Canadian, knew to follow this Texas story as long as you did and see it through to its cathartic conclusion. How did you first become aware of the case, and why did you want to make a film about it? aa: While on assignment for the CBC (for an unrelated story) I met Ray Hill who told me what I took to be a rather implausible story of his friendship with a man he helped put behind bars. Once I learned the details I was driven to tell it precisely because it was so unusual and so complex. At one point I received a phone call from the Houston Police Department – telling me that Andy Kahan, Houston’s Victim’s Rights Advocate, was circulating my phone number and name. It was a weak attempt to intimidate me. The police officer told me that he would deal with the matter and was actually calling to warn me that I was facing opposition. Naturally, that made me more determined to tell it. I certainly knew I had hit a nerve. Because I was Canadian and had no axe to grind, I got access to Jon Buice, and to his chaplain, Linda Hill, both of whom had previously refused to grant interviews. Jon Buice, in a scene from The Guy With The Knife, directed by Alison J. Armstrong. dk: What were some of the challenges involved in making it? aa: The biggest challenge was telling a story where one of the main characters was in jail and the other was in a wheelchair. The Texas Department of Criminal Justice refused to let me film them together. Funding was tougher. Generously the cinematographer, Jerry Hattan, saw the importance of the film and worked with me to get it made. Kickstarter helped get the film to the rough-cut stage. My family and friends gave me tremendous support. Then Brad Danks and Philip Webb from OUTtv came on board with the funding to get it finished. Brad and Philip also provided great feedback and support. It was only the generosity of so many people that helped the film to get made. dk: Your film features strong real-life characters who for the most part are deeply flawed. I think this is what makes the film so fascinating. There are no heroes, and no real bad guys either. It's not a black and white world you are depicting. It's a moral universe with more subtle shades. Is this intentional? aa: The moral universe is rarely the black and white stories we see depicted in crime shows. To be true to the story I was telling, I had to acknowledge the moral ambiguity and the subtlety – the very things left out in the original reports of the crime. In real life there are few heroes and fewer villains. I wanted to allow the audience to make up their own mind based upon what I had uncovered as a journalist. I wanted to describe the elements of the story that had been inaccurately and inadequately reported for decades. The two main characters, Ray Hill and Jon Buice, are people who admit they made mistakes and try to atone for them. This struck me as a much more interesting premise for a film. dk: You showed this film first last year in Houston, Why and what was the reaction there? aa: The first showing of the film was at Texas Southern University – a predominantly African-American institution. The audience certainly understood the unfairness in the criminal justice system. The next showing was at the University of Houston where the discussion was very heated. However, I had to let everyone involved in the film see it and respond to it. For many of them, it opened old wounds and the LGBTQ community recalled the fear they had had to live with during the AIDS crisis. People began to get angry and shouted at each other, but in the words of Maria Gonzalez, the LGBTQ leader, "There was a lot of pain in the room, but it had to come out." Luckily Joe McCarthy, the polygraph expert in the film, was present that night and he managed to calm everyone down by asking for “a moment of silence for the deceased.” It was a technique he learned from his grandfather at Irish wakes where alcohol flowed and fights often broke out. Since then the audiences in Texas have asked good questions and have become more receptive and curious about the film. dk: Not wanting to give too much away, how do you think that early cut of the film impacted Jon Buice's case? aa: Thanks to the efforts of law professor, Michele Deitch, and political activist, Stacey Abel, the film screened in Austin at the Lyndon B. Johnson School of Public Affairs, sponsored by the University of Texas Law School, the Harvey Milk Society, and the William Wayne Justice Center. That drew the attention of the politicians. Then the parole board screened the film and that made a big difference. 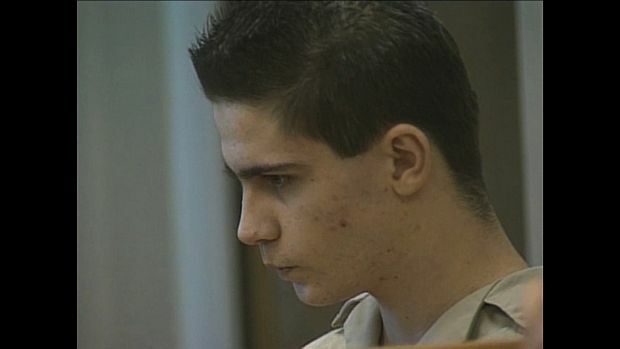 Jon Buice in the courtroom in 1991.
dk: Did your own investigation bring to light new evidence that the courts had either missed or in some cases fabricated? Can you share what you discovered that was new and will your revelations have any effect on the Texas justice system? aa: In doing my own research and with the help of a private detective I was able to discover what was and, what was not, in the police evidence locker. I then purchased an exact replica of the knife said to be the murder weapon. We used it in the recreation footage. However, it was such a large knife that several of us cut ourselves trying to open it. So we learned that something was wrong with the evidence as presented. I don’t believe the parole board ever understood that the knife use to kill Paul Broussard was not the murder weapon the police collected. There were also boards with nails entered into evidence 12 days after the murder. There was nothing, however, to connect them to the crime – no forensic evidence whatsoever. These things had never been reported. I don’t know if it will have any effect on the Texas justice system. I do hope the parole process becomes more transparent and that the parole board begins to actually interview the people who are coming up for parole rather than merely relying on media reports and internal documents. I have met some dedicated people like Jon’s lawyer, Bill Habern, who is working to reform the system and will continue to do so. And there are others, as well. dk: There's an obvious victim here – the murdered Paul Broussard. But your film finds others, the walking wounded behind the scenes. Why did you include their stories in your film? aa: If you are referring to Chance Dillon, I included a bit of his story, because he was with Jon the night of the murder and he has felt guilty about it ever since. Yet, Chance refused to plead guilty and took a 20-year term rather than a 15-year term because he said he was not guilty of murder. It was also important to show that this crime has many victims. 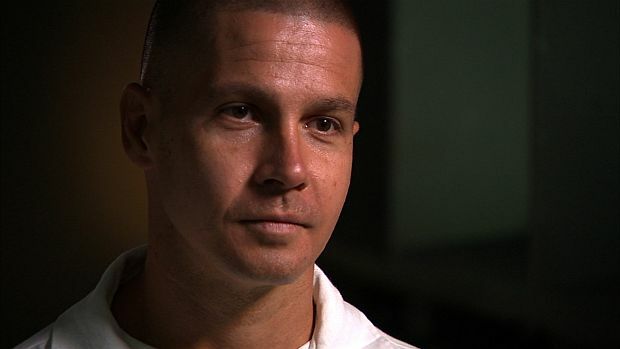 Chance, like Jon Buice, still carries the scars of that night and the additional scars from living in Texas prisons. The murdered man's family suffered terribly, and likely always will. The other kids involved in the crime all had their lives if not ruined then terribly damaged. Crime has a profound effect on the whole community. dk: But there's another unsuspecting victim, the prison pastor who gave counsel to Jon Buice and then was subsequently accused of an impropriety which cost her her job. You show she was set up. It's a strong component of the film, showing how wrongs keep being perpetuated in this case. What's the fallout? aa: As much as I would like to see the state of Texas reform its justice system, I would like to see the Houston Press apologize for destroying the reputation of prison chaplain Linda Hill. This woman did nothing to merit the attack on her character. The Houston Press should correct these egregious errors. dk: You have experience working at the CBC here in Toronto. What did working for a national broadcaster teach you about making hard-hitting documentaries outside your home country? aa: At the CBC, and even earlier in my career, I learned to dig for facts and not to rely solely on the information reported by others. When I obtained the autopsy report and the pathology report, I had it examined by a Canadian surgeon and, in doing so, learned a lot about trauma and surgery. But the biggest problem with the case was in the lack of factual reporting. So much of the evidence came from Ray Hill, who has a penchant for embellishment. Sensational stories are always easier to sell to journalists and Ray Hill knew this. The old adage "If it bleeds it leads" was certainly true in this case. I knew it would be important to catch Ray at his own game. dk: What else are you working on, and how did the experience of working on this film inspire the next project? aa: My next project is one about global fraud. My other documentary is about young people who commit capital crimes and who are working to rehabilitate themselves. Neither Canada nor the United States are particularly good at helping people to rehabilitate. Prisons on both sides of the border remain nasty places, which spawn violence and breed crime. This needs to change. Thank you for your generous review of Alison's treatment of a story that I lived perhaps more than others except Jon himself. I am not fully vindicated but helping bring out the truth but I am comforted that the truth is now out there.